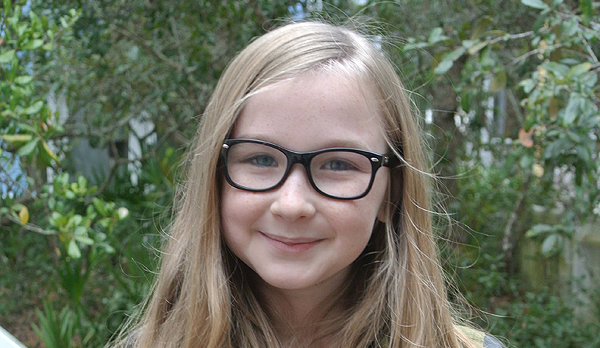 The Walking Dead Forums recently got a chance to interview Meyrick Murphy. 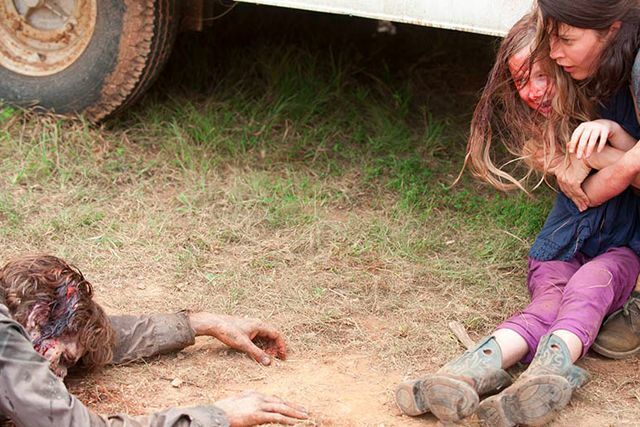 Her character helped humanize the governor, until she dug up the worst possible thing while playing in the mud, a hungry walker hiding under a sign. 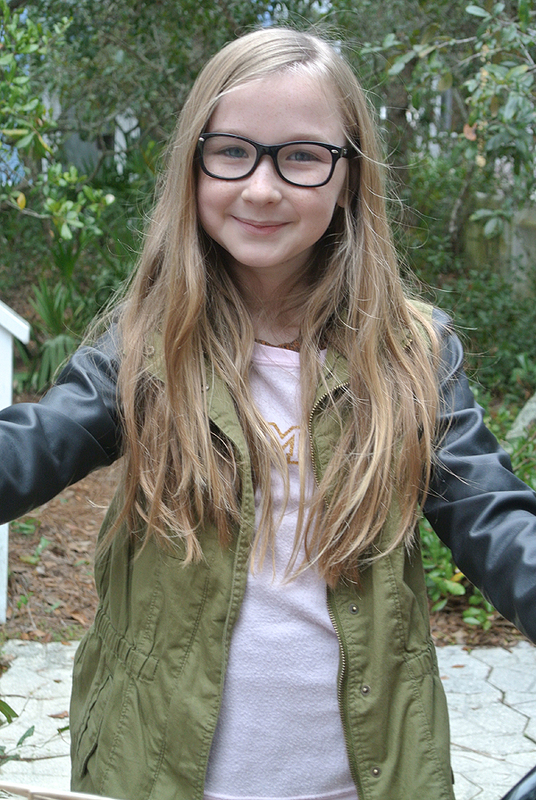 Meyrick talked about what it was like to shoot The Walking Dead, life on other planets, and her recently released new movie, Chasing Ghosts. Thanks for doing this interview. To start off, tell me about how you got into acting and how you ended up on The Walking Dead. Thanks for asking me! 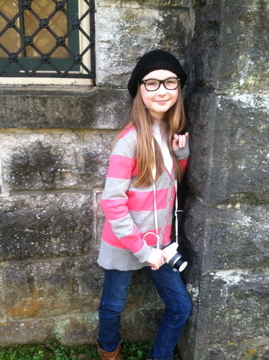 I’ve been interested in acting since I was in a school play in first grade. I just love it. When I got the audition for The Walking Dead, the script was buried in a giant stack of NDAs. It was a intimidating but I did my best and had fun. When I went to the callback I really felt connected to everyone right away. I knew I wanted to be a part of that set. Next thing I knew, I was in Meghan’s shoes—literally. Your character has a lot of scenes with The Governor. What was it like working with David Morrisey? I really love David. On set, he was like a second father, always looking out for me, making sure I didn’t get overheated—it could get pretty hot out in the Georgia summer heat—making sure I knew about the fake blood and things like that. I was always talking to him about the Beatles. He is just a great guy. What’s your take on The Governor’s relationship with Meghan? 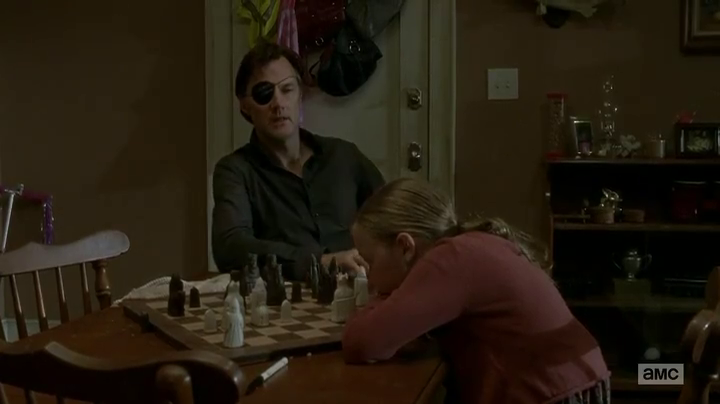 From your perspective, is The Governor really a bad person? I think that Meghan almost brought him back. 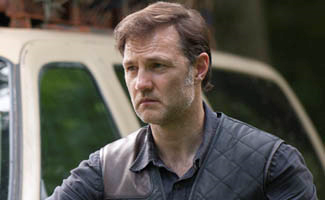 But from what I heard on set—I was not allowed to watch David’s earlier episodes—the Governor could never really be brought back. People change in an apocalypse. He wasn’t bad to Meghan. He was a good person who went through bad things and didn’t know how to deal with it. What was your favorite scene to shoot on The Walking Dead? My favorite scene to shoot was the mud walker scene! Who doesn’t love making mud sandwiches? We filmed by a river so one of the Assistant Directors and I panned for gold between takes. Was it difficult to shoot the scene in the mud with the walker? Not really. It was kind of fun getting killed by a walker. It’s not something you get to do every day. And, while we waited to film, I got to decorate him with fine jewelry . . . AKA worms. Did your parents let you watch that episode? 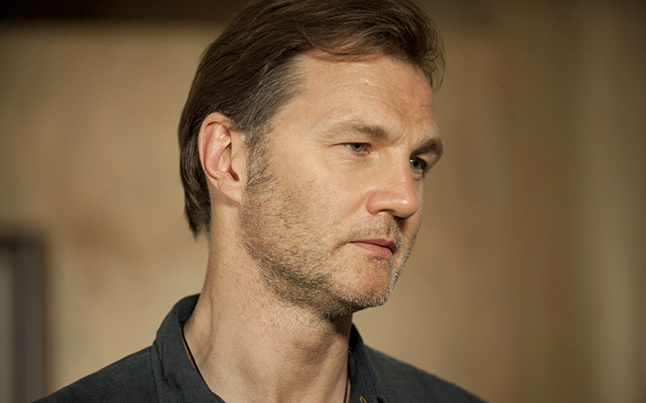 What’s the single most important thing you learned, as an actor, from your time on The Walking Dead? And how did you learn it? Oh, that’s tough. I think it was when David taught me to cry. (I can’t tell you what he told me. It’s a secret.) That really helped. Who was the most fun person to work with on The Walking Dead and why? You know, even though I was only there for a short time, everyone became like family on that set. I can’t choose just one person. They were all my favorites. I really loved working with Alana Masterson. We played with Meghan’s stuffed pig and goofed around like smart-alecky sisters. What have your experiences with The Walking Dead fans been like? Oh my gosh, amazing! They’re all so sweet and really committed to the show. The people I’ve gotten to meet have been really nice. What would you like to say to the fans? Just, be who you are and show your true colors. And thank you, so, so much. Tell me about your upcoming projects. You have a movie out now called Chasing Ghosts (starring Tim Meadows)? Yes. I just saw a screening of Chasing Ghosts. It was one of the openers at the Nashville Film Festival. It was so much fun. Do you really want to be an astrophysicist? Tell me about what draws you to that. What’s your favorite fact from astrophysics? I do. Astrophysics is just so intriguing. I am really interested in wormholes and the God Particle. There are just so many mysteries in space, so many things waiting to be discovered. I really want to go to MIT. There’s just so much to learn. I believe that facts are like particles—there’s a vast world of them, each one drawing you in. I believe there is life somewhere out there, not the kind of aliens that you see in movies, but there’s probably bacteria or something similar. As far as intelligent life, I think it might have had enough time to evolve but everything is so far away, we may never know. How can fans reach you and find out more about you? You can reach me on Instagram and Twitter @meyrickmurphy. On Facebook I am Meyrick Murphy. If you go to this site, you can get to all my sites from http://www.meyrickmurphy.com. There’s more The Walking Dead news and articles, and a chance to join a dedicated fan community, at walkingdeadforums.com.